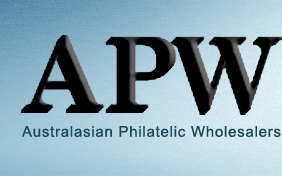 Australasian Philatelic Wholesalers is a family run business supplying Postage Stamps, Rare Stamps, Special Issue Stamps, Package Stamps to both Stamp Collectors and Stamp Dealers World Wide since 1977. We are an old fashioned business in a modern age. Even though the price lists are computerised and we are now on the Internet, we will believe in old fashioned service and value for money.